Ultrafiltration is a technique for separating elements contained in a liquid. 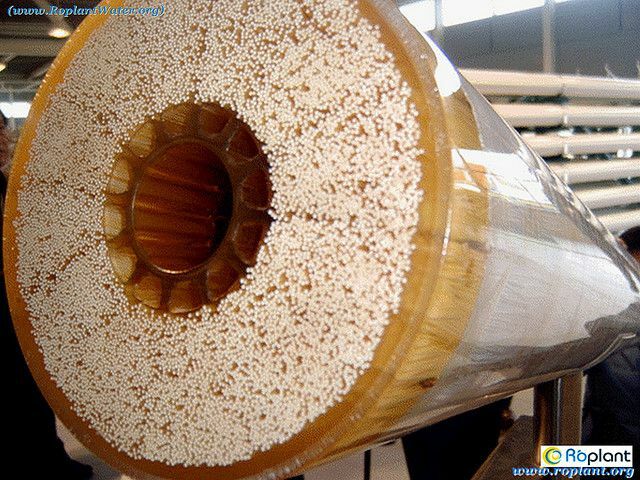 It uses semi-permeable membranes with a pore diameter between 0.001 and 0.1 micrometers. Ultrafiltration is used to trap macromolecules, especially proteins and viruses, but also larger particles in suspension that escape microfiltration: some algae and bacteria, spores, pollen, etc. Ultrafiltration produces a clear liquid exempt from any pathogens together with a protein-rich ultrafiltrate. This technique is therefore used for water treatment and the treatment of polluted effluents, and also for filtering blood, clarifying food liquids (fruit juices) and concentrating milk to produce cheese.